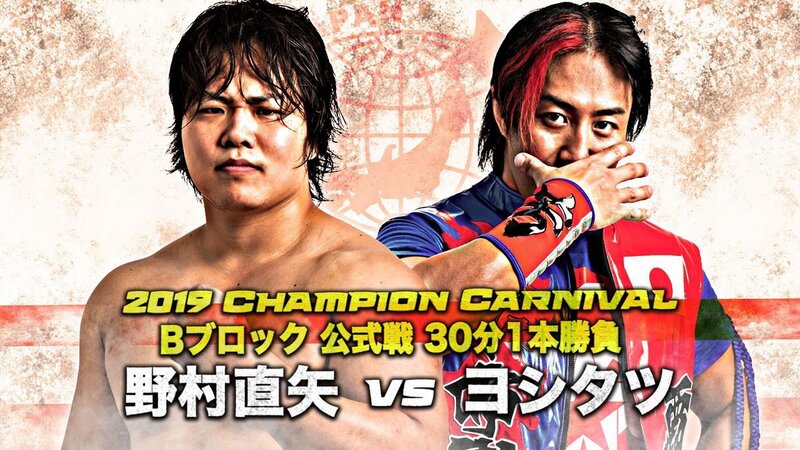 With Navigation for Future winding down and Marufuji returning from injury, Hisame brings us a stacked NOAH Newsletter this week! During the first match of the final night of “Navigation for Future 2019”, Masao Inoue appeared at ringside in plain clothes, and immediately was attack by The Hooligans. Inoue later said his reason for being there was to stop them doing their usual tricks, but something more would come of this later in the evening. The match itself saw Kenoh team with two bright green rookies, Yoshiki Inamura and Kinya Okada, and of course only went about six minutes. YO-HEY & HAYATA reunited in the second match. I think that HAYATA went to leave, but YO-HEY stopped him and held out his hand, which HAYATA looked at and then took, they embraced, and then HAYATA shook hands with both Yoshinari Ogawa and Kotaro Suzuki before leaving with them. YO-HEY posted later on Twitter, “Welcome home wife”. 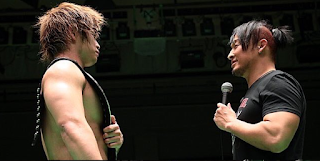 Daisuke Harada has made no comment about RATELS now being over, but Tadasuke has said he was shocked by it, and from now on, he will be thinking of himself. The Backbreakers defended the GHC Junior Heavyweight Tag titles against Kouki Iwasaki and Keisuke Ishii. They were challenged backstage by Kotaro Suzuki and Yoshinari Ogawa (Suzuki and Kumano got into a fight after Kumano basically told them to “beat it”, which was broken up by their tag team partners). Title match has been set for the 24th February at Korakuen Hall. Naomichi Marufuji returned from injury looking happier and healthier (not the perpetually exhausted ghost he had become in 2018) to a curtain of red and orange streamers. He said was fine after the match with no problems from his arm or his leg. Atsushi Kotoge appeared to have done away with the pink (he later told fans he loved pink and would not be abandoning it all together) for a golden chrome colored ring attire, and fans called him “The Golden Revolutionary Hero”. Naturally he was manic, and Go Shiozaki had his patient face on. Kotoge had told fans via Twitter that he had a surprise that night, but the nutcases’s new clothes, were not the only surprise he had in store. So, while Marufuji celebrated his return, Nakajima did too – by smirking and kicking him. Mohammed Yone had promised he would bring muscle to the ring to prevent The Hooligans from interfering in the GHC Heavyweight Tag Title match, and he bought out Takashi Sugiura, Naomichi Marufuji, Masao Inoue and Akitoshi Saito. Each time The Hooligans tried to interfere, they were fought off outside the ring by what would become known as “The Sugiura Army”. Fifty Funky Powers were victorious, and Quiet Storm took the title win from Maybach Taniguchi. Takashi Sugiura got in the ring and challenged The Hooligans to a match. He said that if they lost, they disbanded. KAZMA SAKAMOTO told him they accepted his terms, but he in return must accept his; if they win, he becomes their lackey and he has to wash their clothes, their backs, lick KAZMA’S shoes, and I’m not even going to mention just what Hino said about Sugiura could do for Cody Hall. Sugiura agreed to their request and chose the team of Masao Inoue, Akitoshi Saito, Yoshiki Inamura and Kinya Okada to face The Hooligans. Match has been set for the 24th February at Korakuen Hall. Then Atsushi Kotoge appeared back in the ring, and challenged 50 Funky Powers for the title belts. 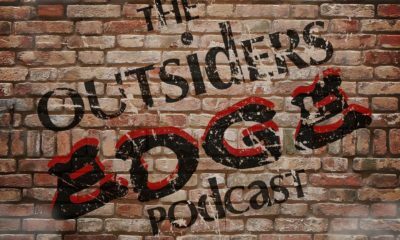 While Kotoge might be one gunman short of a posse, even he realized he needed a partner, and after a rambling promo about how he had asked people (including the veterans who he somehow thought were his friends, although he had been in a team that had been fighting against them to overthrow them), he announced he had “found a revolution member from the outside”. Eddie Edwards appeared on the screen, he said he would “Revolution” with Kotoge for the GHC Heavyweight Tag Titles. Fans are calling their team “The Die Hard Revolution”. The title match has been set for the 24th February at Korakuen Hall. Eddie Edwards does not seem to be appearing on any of the earlier dates in the tour (which starts on the 11th February), but there is always a possibility that he may stay on for the final two dates of the 2nd and 3rd March (the cards at the time of writing have not been announced). I would imagine that Edwards not appearing in the early part of the tour is due to his IMPACT schedule. It will be interesting to see if “The Die Hard Revolution” reunite for Global Tag League which starts in April. On the 29th January, NOAH announced the promotion now had a new parent company (this will be the fourth NOAH have had). Estbee IT Ltd have sold the company to LIDET Entertainment and as a result, President Masayuki Uchida (along with three other members of staff) have had to resign. Uchida, however, will join LIDET as a special adviser. LIDET are a company that as well as advertising food and drink, also promote and produce shows (such as Riki Choshu’s “Power Hall” among others, they were also behind the ill fated “GENESIS” which was to be the Takeshi Morishima return show). Yosuke Fuwa will replace Uchida as president, and producer Akihiro Takeda (who was once a New Japan executive and contributed greatly to the regeneration of the company a few years ago) has also joined the team. Their aims are to bring money back to the promotion, increase and promote the big matches and to have it break away from, but not forget its roots, and start again. Distressingly the iconic green mat will not be used anymore (aside from the Misawa memorial shows in June) after the 10th March show in Yokohama, and the logo will be redone. The owners explain that this is not intended to be disrespectful to Misawa, but the promotion must now come out from under his shadow. Misawa will never be forgotten, and his memory will always be cherished, but NOAH must now “voyage” without him. The term “Giving Up Misawa” has been coined. They want to make NOAH the number two promotion in Japan within three years. 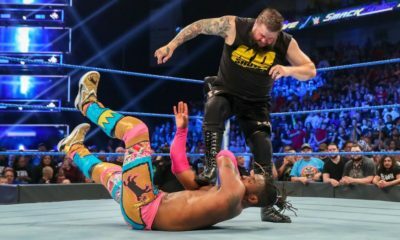 Following his match at Royal Rumble 2019, KENTA changed his user name from his WWE persona and back to his real name saying simply, “THANK YOU”. 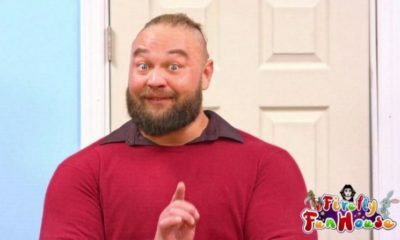 This naturally caused a flurry of excitement on social media, with some people speculating that he had left the company, and others saying that he had simply changed his name back (some wrestlers do use their real names). It was later said, (although not officially announced), that he had asked for his release from the company. 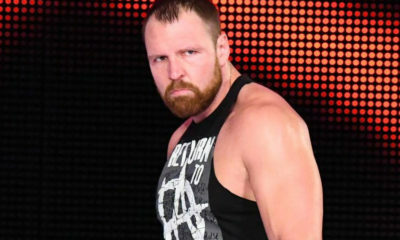 Details are at this point sketchy with some outlets reporting that he was only given his release if he promised to return to Japan and not wrestle for any of the WWEs competitors in America. 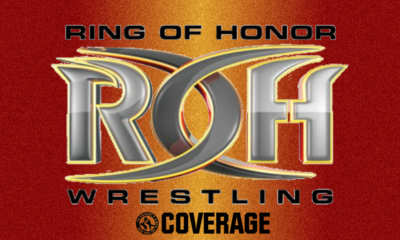 As of yet it is unknown whether he will return to Japan (and NOAH as is hoped) or stay and freelance in America with IMPACT and\or Ring of Honor, IMPACT of course being affiliated with NOAH, and KENTA having ties to Ring of Honor in his NOAH days. Although both KENTA and NOAH have been silent on the subject, KENTA’S 90 day clause runs out just before NOAH start Global Tag League 2019. No matter what he chooses to do in the future, I would be very surprised if KENTA didn’t make at least one appearance in NOAH now he is once again, free. Kenoh manages to keep in his hatred about Kaito Kiyomiya on the front cover of “Weekly Pro” to himself (although he was photographed looking at it and looking disgusted), and instead takes a tone about him which is akin to a concerned older brother, his hatred of Marufuji continues, and he has a grudging respect for Sugiura. 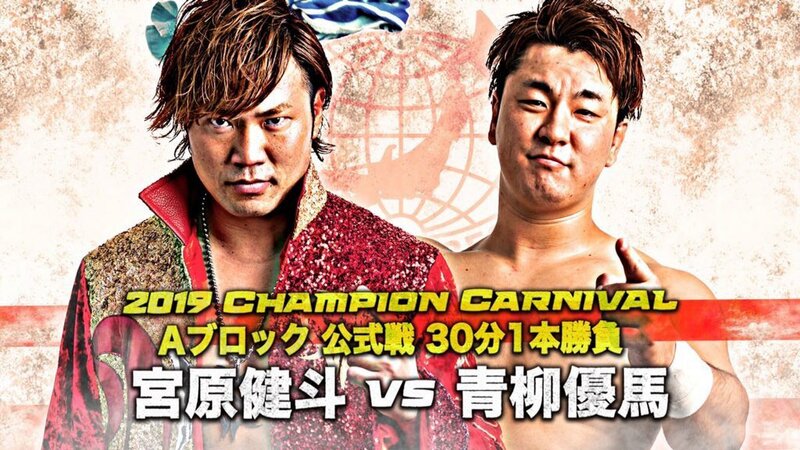 He also compares the heavyweights to each item of ingredients in a stew: himself and Sugiura are the oysters, the flavorless cabbage with bulk and not much else are Shiozaki and Nakajima, Kotoge is pepper, Kitamiya, Garlic, and Kiyomiya a photographic fresh chicken breast. Marufuji does not make Kenoh’s list of ingredients. NOAH have announced for “environmental reasons” they will be introducing a streamer ban in the future. Streamers may be allowed still at Korakuen Hall, but in some venues, they will not be allowed at all. Recycling in Japan is done at individual expense, and not by a neighborhood committee or automatically by the city council. While individuals are expected to recycle (and you can find the relevant bins for paper, plastics, tin, which the municipality will empty), businesses have to pay for their own to be taken away and disposed of. While for many businesses in Japan this may be a collection of soda cans drunk by employees, paper and styrofoam, and other normal recyclable waste; NOAH (and other promotions) are faced with how to dispose of a mountain of paper streamers, of which there are enough to coat an entire wrestling ring. You can imagine the pile after an event like Korakuen or Yokohama. The streamers cannot simply be bundled up and taken to a nearby paper bank and stuffed through the hole, neither can they be put into a recycling bag and left on the curb for the garbage-men. NOAH (and other promotions) have to pay for their disposal. The venue do not clear up either after the shows, this is done by the seconds. Naturally the venue will have its own cleaning staff, who will go in afterwards, but it is up to the promotion to “leave it as they found it” so to speak. You can imagine the cost and the inconvenience of getting the streamers taken away, and sympathize with NOAH as to why they are banning it (for now at least). I would imagine an exception will be made for the Misawa memorial shows, and other big events. NOAH have announced that in April 2019 they will be releasing an album containing wrestler theme music. NOAH have not released an album like this since about 2009. There is no track listing as of yet. NOAH have announced their annual “Fan Meeting” event which takes place in the spring (February 17th this year); while in 2018 this was pretty much the kids get in the ring and play with the wrestlers, or an exercise class is held for children, Noah have made somewhat of a return to “The Golden Era” (minus the Chanko being served) this year. All of the roster will take part, except for Go Shiozaki and Naomichi Marufuji, who will be competing in DDT. There will be a meet and greet with the wrestlers, one of whom will hold a kind of talk show and Q&A. Professor Nagahama (a trainer exclusive to NOAH who does sports massage) will give the fans a sports massage for 500 yen per time. Fans also can experience being a ring announcer for the day. Miyaki Wakiko (NOAH’s official photographer, and author of “PHOTOGRAPH THE LIVE”) will give a lecture on the basics of photography, and fans can experience this when NOAH put on two secret matches when they photograph from the apron. Fan club members will get in free, and have their own photography session with one of the roster (just who gets to do this will be drawn by a lottery, and will only be open to fifty people). IPW have announced that they will be broadcast in Fightnet UK every Friday at 9pm starting Friday 8th February. As you know, NOAH have parented with them, and Daisuke Harada is their current Junior Heavyweight champion. Robyn Goding’s beautiful pictures of YO-HEY, HAYATA, Daisuke Harada and Tadasuke from their participation in IPW can be found here. ~ Naomichi Marufuji will team with Jinsei Shinzaki (ironically, Kenoh’s trainer) against Masaaki Mochizuki & Shun Skywalker at Giant Baba’s 20 year Memorial. ~ Takashi Sugiura counted the days he had been away from his little dog when he got home from tour, and Tadasuke immediately started playing “Kingdom Hearts”. ~ Naomichi Marufuji took part in the annual Setsubun celebrations. ~ Atsushi Kotoge wandered across the ring with a rolled up bit of streamer on his head. In a fatherly manner, Go Shiozaki removed it and then rearranged Kotoge’s hair. ~ A slight sound error occurred at Korakuen Hall when “Boogie Wonderland” started playing just before the pinfall was counted three. Takashi Sugiura this week took a picture of his dog crapping on puppy training pads and posted it to social media, although he had taken care to cover up what was coming out of the dog with an emoticon…I think you can guess which one. English translation of “Heir to The Ark” (Naomichi Marufuji’s biography) is ongoing. New structure statement, new owner is the LIDET Company, “I want to increase the big match”. GHC Champion Kiyomiya has a fierce fight for more than 29 minutes in his second defense, next challenger is Marufuji! Kiyomiya’s second defense! Marufuji returns with the challenge, “that is the belt that I was supposed to win”. 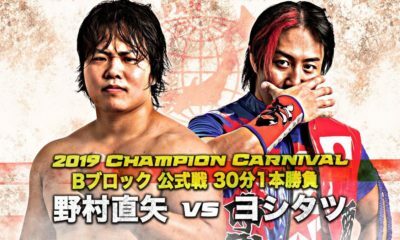 Youngest GHC Champion Kaito Kiyomiya’s second defense, “Noah’s face is now me”… Marufuji makes challenge on return. Kenoh makes some eerily similar remarks about NOAH in March 2018, that the new owners in 2019 will echo.